At the end of World War II, developed countries industrialized their fishing fleets to increase the sector’s productivity. Governments massively injected public subsidies to build new vessels that were larger and more powerful. A massive erosion of jobs: in France, employment in the fishing sector has halved since 1990. Artisanal fisheries (boats <12m) have been the most affected by these policies, although the methods they use are generally more sustainable. What happened at the international level? Since the 90s, governments, researchers and NGOs have increasingly recognized subsidies as a major barrier to the transformation of the fishing sector to an economically viable and environmentally responsible activity, especially because subsidies are discriminatory against small-scale fishers. After steadily increasing for several decades, global catches started to stall in the 1990s and numerous signs of stock depletion led to an international awareness of the overfishing issue. -The Rio Earth Summit and the Cancun International Fisheries Conference affirmed the need to stop overfishing and called for a reduction of the excessive pressure on the world’s fish stocks. -The Newfoundland Moratorium: The Newfoundland cod fishery was closed that year and a moratorium was put in place. The overexploitation of the most productive stock in the North Atlantic had led to its collapse. This was a real wake-up call for the sector and the beginning of our understanding that marine resources were not inexhaustible. Ten years after the Montego Bay Agreement on the International Law of the Sea, the Food and Agriculture Organization of theUnited Nations (FAO) publishes a critical assessment. In particular, it highlights the environmental consequences of overfishing and the problems caused by, inter alia, excessive fishing effort and subsidies allocated to the sector. The FAO publishes its Code of Conduct for Responsible Fisheries. The United Nations Environment Program (UNEP) publishes a report examining the link between subsidies and overfishing. 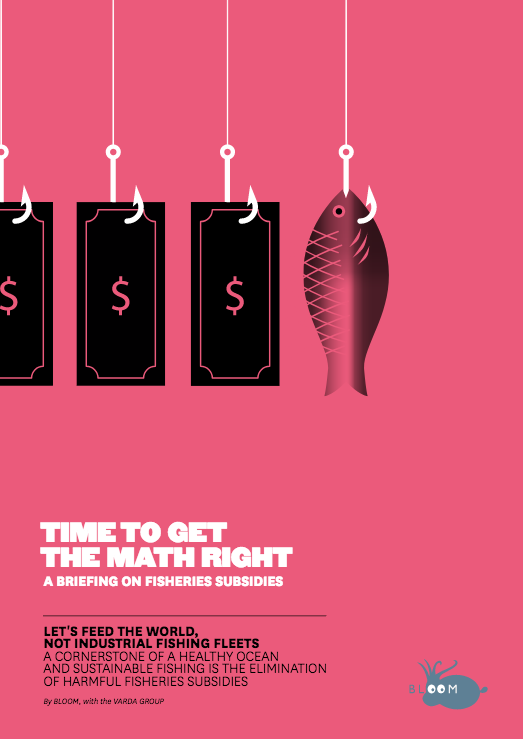 In the same year, Matteo Milazzo publishes Subsidies in World fisheries: a reexamination. This seminal report attempted, for the first time, to estimate the total amount of subsidies allocated to the fisheries sector while showing the link between public aid and the overexploitation of fish stocks. In December 2001, the Fourth Ministerial Conference of the WTO was held in Doha. A few months after the September 11 attacks, Heads of State agreed that international trade — a factor of economic growth and development — was one of the best ways to tackle terrorism. Recognizing the importance of fisheries in developing countries, members agreed to “clarify and improve WTO disciplines on fisheries subsidies“. At the Hong Kong Ministerial Conference in 2006, WTO members reiterated the need to “strengthen disciplines on subsidies in the fisheries sector, including the prohibition of certain forms of fisheries subsidies that contribute to overcapacity and overfishing “. However, persistent disagreements over agricultural issues have defeated the Doha Agenda and hampered discussions around the regulation of fisheries subsidies. But since the WTO is the only international organization with binding rules, it is considered to be the most suitable one to eventually prohibit subsidies that contribute to overfishing and illegal fishing. 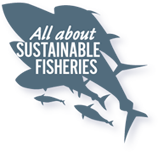 Goal 6: “By 2020, all stocks of fish and invertebrates and aquatic plants are managed and harvested in a sustainable, legal and ecosystem-based manner so that overfishing is Avoided (…) and the impact of fishing on stocks, species and ecosystems remain within safe ecological limits “. On the occasion of the United Nations Summit on Sustainable Development in September 2015, Member States adopted 17 sustainable development goals (SDGs), the 14th being devoted to the preservation of marine life. Target 14.6 aims for the elimination of harmful subsidies by 2020 and calls on the WTO to implement it: “By 2020, prohibit fishing subsidies that contribute to overcapacity and overfishing, remove those that promote illegal, unreported and unregulated fishing and refrain from granting new ones, Bearing in mind that the provision of effective and appropriate special and differential treatment to developing and least-developed countries should be an integral part of the negotiations on fisheries subsidies under the World Trade Organization “. Usually absent from climate negotiations, the ocean is finally included in the Paris Climate Agreement that was concluded at the end of COP21: “The Parties to this Agreement […] The importance of ensuring the integrity of all ecosystems, including the oceans“. The fourteenth meeting of the United Nations Conference on Development and Trade (UNCTAD) was held in Nairobi, Kenya, from 17 to 22 July 2016. During this meeting, 90 countries signed a roadmap aiming to eliminate fisheries subsidies deemed harmful, i.e. those that contribute to overfishing. This roadmap is based on Target 6 of SDG 14, which calls for the prohibition of “fisheries subsidies contributing to overcapacity and overfishing” and the deletion of “those that promote Illegal, unreported and unregulated fishing “by 2020. From June 5 to 9, the United Nations organizes an international conference on the ocean in New York. This high-level international meeting — the first of its kind dedicated to the ocean — will focus on the implementation of SDG 14. 3) To share experiences at the national, regional and international levels in the implementation of goal 14; Contribute to the process of monitoring and reviewing the 2030 Agenda for Sustainable Development by contributing to the high-level policy forum on sustainable development, in accordance with resolutions 67/290 of 9 July 2013, 70/1 of 25 September 2015 and 70/299 of 29 July 2016, on the implementation of Objective 14, including opportunities for further progress in the future“. It should lead to a joint declaration in the form of a call to action to support the implementation of SDG 14, a report containing the syntheses of the partnership dialogues and finally the list of voluntary commitments to be announced during the conference. The call for action should in particular encourage governments to reach an agreement on the elimination of harmful subsidies at the next WTO meeting in December 2017. Every two years, representatives of WTO member states meet at ministerial conferences. Following the last meeting in December 2015 in Nairobi, several agreements were reached on agriculture, cotton and LDC issues. As a result of these advances, the next meeting of the WTO could be decisive for the fisheries subsidies issue. The deadline seems all the more crucial that SDG 14 calls for the elimination of harmful subsidies by 2020. In the European Union, fisheries — like agriculture — is governed by a common policy. Things like quotas and fishing gear regulations are decided at the European level. Revised every ten years, the CFP (Common Fisheries Policy) sets out the roadmap for all countries. Facing the alarming situation of European fish stocks, Member States agreed on the need to achieve sustainable exploitation of stocks during the last revision of the CFP in 2013. 2014-2020: the European Maritime Fisheries Fund (EUR 5.75 billions). During the last revision of the CFP, MEP Alain Cadec proposed to reintroduce public aids to build vessels (banned in 2002). Thanks to a strong opposition by NGOs, this proposal was ultimately rejected. In April 2017, over a hundred MEPs proposed to reauthorize construction subsidies in the outermost regions, despite the fact that the European Union has committed at international level to put an end to destructive subsidies. Despite the mobilization of BLOOM and other NGOs, the amendment was finally adopted by the European Parliament on 27 April 2017, but such construction subsidies are still forbidden by the European Commission so this vote was just a political statement. As the second largest beneficiary of the European Maritime and Fisheries Fund, France is allocated a budget of EUR588 millions for the 2014-2020 period. This new endowment confirms the massive financial support to the French fishing industry that has taken place for several decades. In a publication published in 2008, researcher Benoit Mesnil (from IFREMER) studied the crises in the fishing sector since the 1970s and how the various governments remedied to them. He demonstrated that the massive use of public aid had only succeeded in creating a precarious calm and had, in fact, fueled the eruption of new crises. In fact, these schemes have not achieved their objectives, particularly in terms of job preservation and conservation of the resource. Above all, the researcher revealed for the first time that the amount of aid to the sector was close to its turnover! In 2011, the Court of Auditors confirmed this diagnosis in a report on the aids provided to the fisheries sector in France between 2000 and 2009. Although it was censored and never officially published, it was leaked in July 2013 and published by Le Nouvel Obs. In this explosive document, Commissioners of the Court of Auditors showed that the fisheries sector in France owed its survival to the massive allocation of subsidies. After reviewing the different subsidies schemes, the report concluded that the amount of aid exceeded the turnover generated by the sector, i.e. around one billion euros per year! Pauly et al., “Fishing down marine food webs”, Science, 279 (5352), 1998, pp. 860-863; Swartz et al., “The Spatial Expansion and Ecological Footprint of Fisheries (1950 to present”, PLoS ONE, 5 (12), 2010; Morato et al., “Fishing down the deep”, Fish and Fisheries, 7, 2006, pp.24-34. Mesnil Benoît, “Public-aided crisis in the French fishing sector”, Ocean & Coastal Management, 51(10), 2008, pp. 689-700. Pauly et al., “Towards sustainability in world fisheries”, Nature, 418, 2002, pp. 689-695. Voir l’analyse de BLOOM sur l’état des stocks européens: http://www.bloomassociation.org/desinformation/. Villasante (2010) Global assessment of the European Union fishing fleet: an update. Marine Policy 34(3): 663-670. FAO, Marine Fisheries and the Law of the Sea: 10 Years of Change. Revised Chapter of The State of Food and Agriculture 1992, Fisheries Circular No. 853, FAO, Rome, 1994. Porter Gareth, Fisheries subsidies, overfishing and trade, Geneva, UNEP, 1998. Milazzo Matteo, Subsidies in World Fisheries: A Reexamination, World Bank Technical Paper, Fisheries Series 406, Washington D.C., Banque mondiale, 1998. Mesnil Benoit, “Public-aided crises in the french fishing sector”, Ocean & Coastal Management, 51 (10), 2008, pp. 689-700.